When deciding on what sort of dog you are looking for there are certain things you should think about such as size, cost, behaviour, needs of the pet etc. If you are looking for a dog that’s BIG, very hairy, loves the outdoors and activities such as swimming, hiking, sled pulling, and is dependable and protective then Leonbergers may be for you. These are big dogs but they are known as gentle giants. They are more than happy just sitting on your feet and laying their full weight against you. When this happens you may notice your shoe size increase as your dainty little size 5s will become size 10s after they have dropped their weight on them. According to Wikipedia the breed’s name derives from the city of Leonberg in Baden-Württemberg, Germany. Legend has it the dogs were bred in the mid 1800s by crossing a Newfoundland, a St Bernard and a Great Pyrenees as the resulting dog would mimic the lion on the town crest. Leonbergers, like a lot of other breeds, almost died out during the second world war. However, the breed was saved and grew in popularity all over Europe. Leonbergers have been successful at guarding livestock, search and rescue dogs, tracking dogs and, of course, family pets. Leonbergers are great family dogs. They have an excellent temperament and a well trained and socialised dog will be a great addition to your household. They will be confident, friendly with children (although it would be a good idea to supervise them around smaller children in case they get knocked down), well behaved around other people and can be taken anywhere without any issues, including mixing with other dogs. When growing up make sure you keep them active and entertained. A bored Leonberger can be quite destructive, especially as a pup. All dogs go through a chewing stage, but these dogs are bigger so rather than a slipper being chewed, you might end up with bits of furniture, a sofa or your wardrobe strewn around the house! Ok, that might be a bit of an exaggeration but you know what I mean. 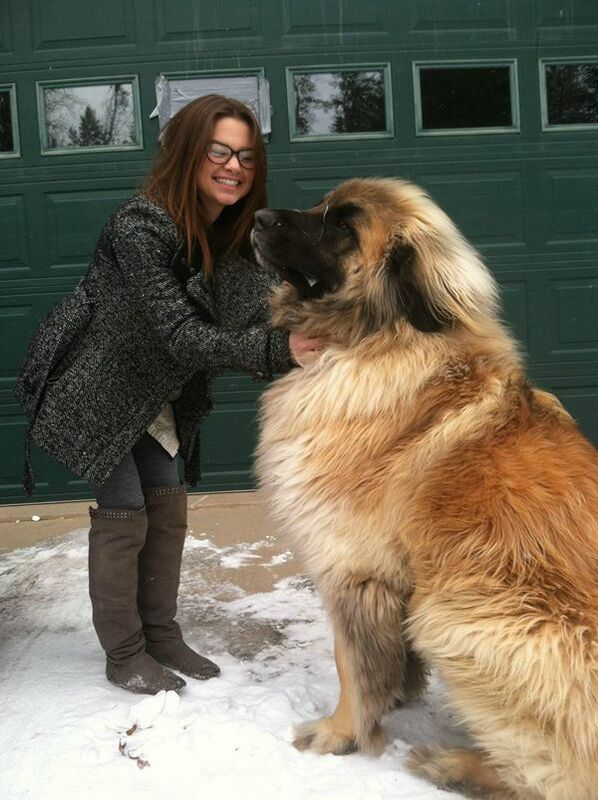 Leonbergers are big, muscular dogs and have a lot of fur. This is due to them having a double layered coat. They have this as it helps insulate them against both heat and cold. Never shave a Leonbergers coat as this can affect the dog’s natural temperature regulation. They shed their fur heavily so it is important to regularly brush them. Once a week is a minimum, however if the undercoat is being shed it would be wise to brush them daily. There is a good chance your Leonberger won’t suffer with all, or any of these, but its always good to know what could happen so you can be prepared. 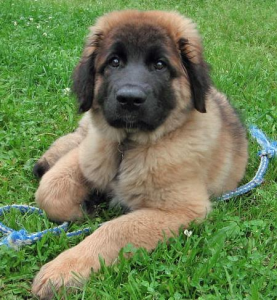 If you bring your Leonberger along to see our vet they can answer all of your questions regarding the above issues and any other health concerns you have.